The Maormer are native to the island kingdom of Pyandonea, an archipelago in the southern ocean. Their ruler, King Orgnum, is said to be immortal. 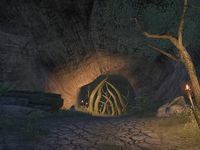 Serpent's Grotto is a cave in western Greenshade, northeast of Woodhearth. 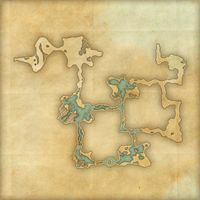 Serpent's Grotto Objective: Prevent the Maormer from releasing an ancient sea creature. The Serpent Lord: Rebind a great sea serpent released by the Maormer. 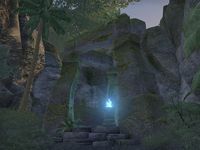 Before the Storm: Gain access to Seaside Sanctuary using Serpent's Grotto. This page was last modified on 19 November 2018, at 05:36.